For anyone venturing out into the wilds of Kansas and contiguous states, identifying plants just got a whole lot easier. This is the first book on Kansas wildflowers or weeds to appear in 25 years. It supersedes earlier guides not only in the number of species it includes—plus its coverage of grasses—but also in its spectacular, true-to-life color photos. Michael Haddock has assembled a guide to 264 wildflowers along with 59 grasses, sedges, and rushes. These comprise many of the state's most common and conspicuous species—as well as some seldom encountered or listed in field guides—and include many that are found throughout the Great Plains. Wildflowers are arranged first by dominant color groups for quick identification, then by family within each color category so that the user can compare a species with similarly colored flowers. Each entry for flower or grass includes a complete profile for any given plant: scientific name, family, common name(s), flowering period, height, distribution and habitat, life span, basic morphological characteristics, and notes on historical food and medicinal uses where applicable. The book also features "finding aids" that allow one to narrow a specimen to a smaller number of possible matches-sometimes more quickly than by comparing it to the photos. These lists were created with the non-specialist in mind and are based on basic vegetative and floral features that are usually easy to determine. 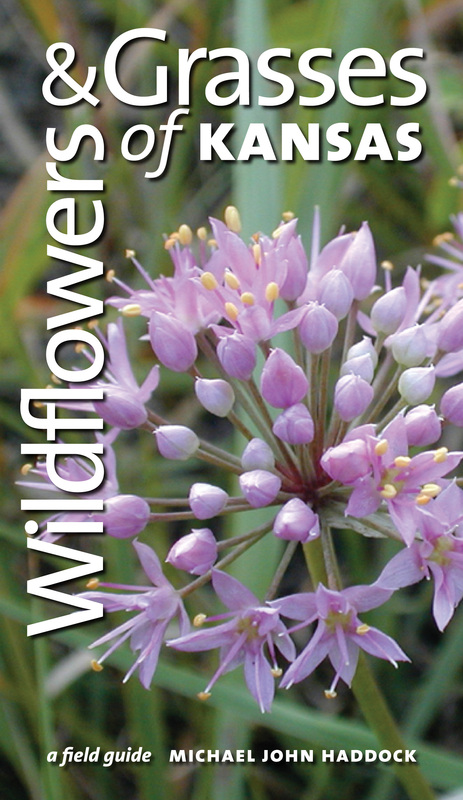 Perfect for backpack or glove compartment, Wildflowers and Grasses of Kansas offers a wealth of quick-access information graced with color that leaps off the page, making plant identification a joy rather than a chore. It's a book guaranteed to send even chronic homebodies out into the Great Outdoors in search of these elusive blooms.